If you wear your hair curly, you've probably heard about the DevaCurl brand at some point. 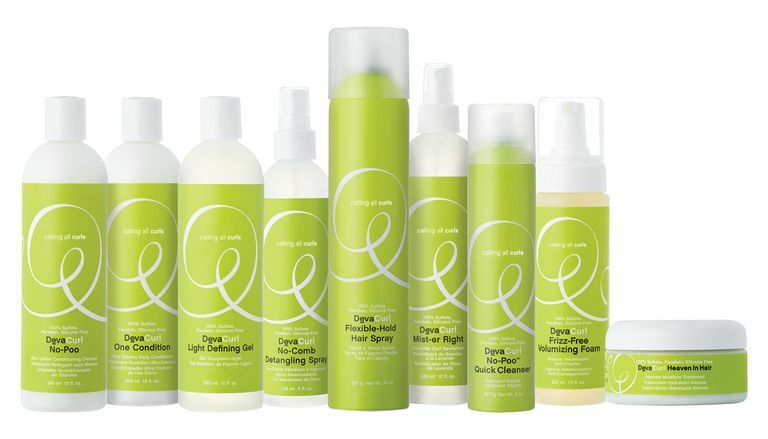 The company makes curl-friendly products and accessories that suit all textures. It's also known for its signature DevaCut that makes the most of natural hair, whether it's wavy, tightly curled or somewhere in the middle. I was fortunate enough to be able to review six of the products in the line, as detailed below. There are videos at the DevaCurl website that show how to apply many of the products so that you can experience the best results. I highly recommend checking those out, even before you make any purchases. 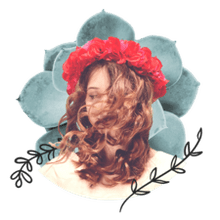 The company takes a lot of pride in offering curl-friendly ingredients, so you won't find sulfates, mineral oil, parabens and silicones, to name just a few of the ingredients that a lot of natural people try to avoid. Before using the DevaCurl products, I clarified my hair because I'm not on a no-poo regimen, and I wanted to begin with as clean a slate as possible. No-Poo: This is a conditioning cleanser (not to be confused with typical co-wash products) that doesn't lather at all. Unlike a cleansing conditioner that focuses only on the hair, No-Poo cleans the scalp and hair. It contains peppermint oil (along with other goodies like hops and amino acids) and I could really feel the tingle on my scalp when I used it. One Condition: I followed up the No-Poo with the conditioner, which was just as rich and creamy. I didn't need a comb while using these products. I applied a generous amount, enough to make sure each hair strand was covered, and I finger combed throughout. There is plenty of slip and I was able to work through tangles easily. Everything I used had a light fragrance and nothing was overpowering. Once my hair was done for the day, it just smelled really clean and fresh. After cleansing my hair with the No-Poo, I conditioned with One Condition. After rinsing One Condition out, I reapplied a small amount, using it as a leave-in. Before styling, I made sure my hair was wet. It wasn't dripping everywhere, but it was wet. Ultra Defining Gel: A thick gel offering plenty of hold. Although the hold is firm, my hair didn't feel heavy at all. Styling Cream: A creamy styler that I used in conjunction with the gel. I didn't apply it to my dry hair to control any frizz or add definition because it wasn't needed. I only used it on damp hair. Mirror Curls: A very thick serum perfect for adding shine or sheen. I never use serums on wet hair, so I applied this to my dry, finished style. I applied the gel first, followed by the cream. My hair was divided into four sections, and I used about two quarter-size amounts of the gel, and one quarter-size amount of the cream on each section. I was generous with both products, using only my fingers to work everything through. I let my hair air dry for almost three hours, at which point it was 90% dry. Then I used my diffuser on warm air/low flow, finishing off with a cool shot. I only diffused for a few minutes. My hair wasn't 100% dry, but almost. Once it was fully dry (about 30 minutes later -- I know, I have a long drying time! ), I added the serum. This is a very thick serum, so a little bit goes a long, long way. I recommend starting with a dime size amount if your hair is shoulder length and thick, rubbing it between your hands well and then apply. Only add more (in small amounts) if needed. These are the results of my wash and go. Can I just say "curl definition"? This picture really doesn't convey how full and bouncy my hair was. I've heard some bloggers/vloggers say their hair felt "coated" after using some DevaCurl products, but I didn't experience that. I did have a little bit of a "gel cast" or, as the company calls it, a "Curl Cast", but it was in no way hard or crunchy, and I scrunched it out easily. I pineappled my hair at night and my second-day hair looked just as good as my first-day hair. Needless to say, I love the products I tried. Besides products, tools and accessories, you can find brand salons that perform the signature DevaCut. Check out the DevaCurl site for full product information and where to find a salon that can perform a DevaCut especially for you!